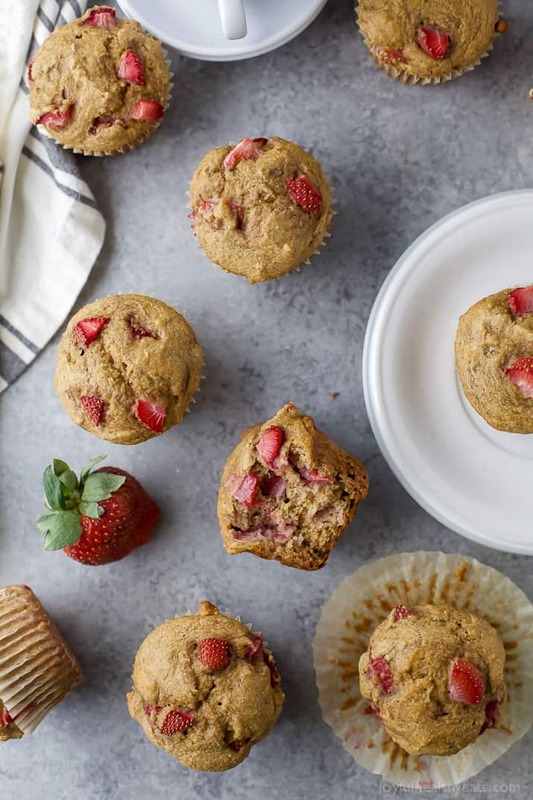 These Healthy Strawberry Muffins are the perfect breakfast! 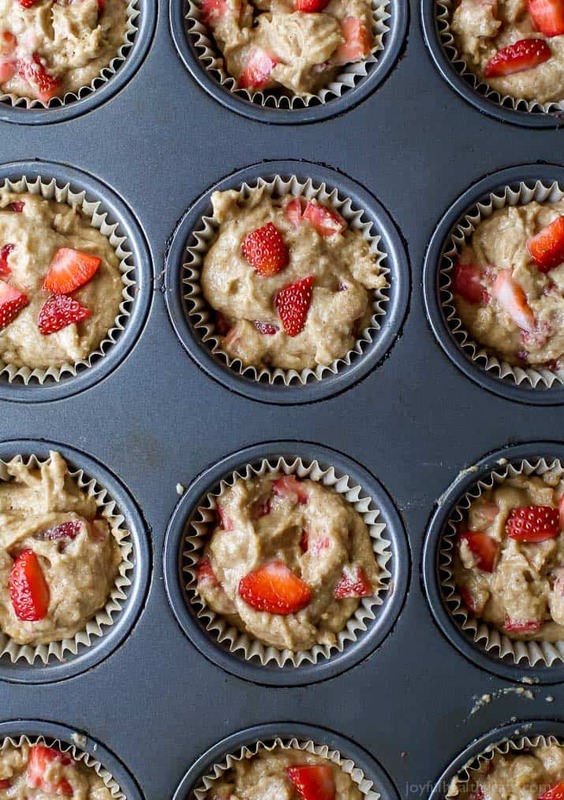 These Moist Healthy Strawberry Muffins are the perfect breakfast on the go! 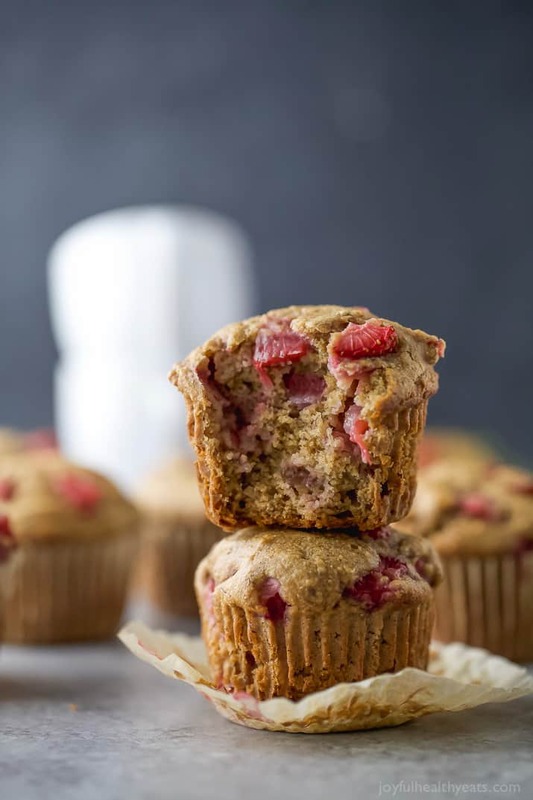 These muffins are dairy and refined sugar free filled with fresh juicy strawberries and whole grains – only 128 calories a serving. 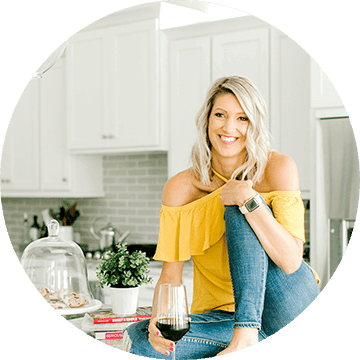 Lately I have been going back and forth about whether or not I start including more things I’m passionate about on this blog. Oh course I’m passionate about food and healthy living. But all I share here is food. I have a degree in Sports Wellness and Management. I grew up a gym rat, played volleyball all the way through college and still need to work out 4-5 times a week minimum in order to stay sane. I’d love to share part of that here but I’m trying to figure out. Are you interested in that kind of stuff? What about the other things I do to stay healthy? The products I use, everything from laundry detergent to essential oils to beauty products. I mean, all of that stuff fits under healthy living correct? What do you guys think? I’d love to start writing about entertaining. 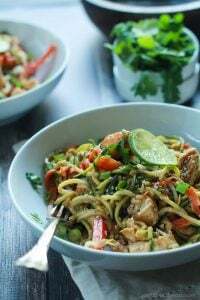 How to host a monthly dinner club? 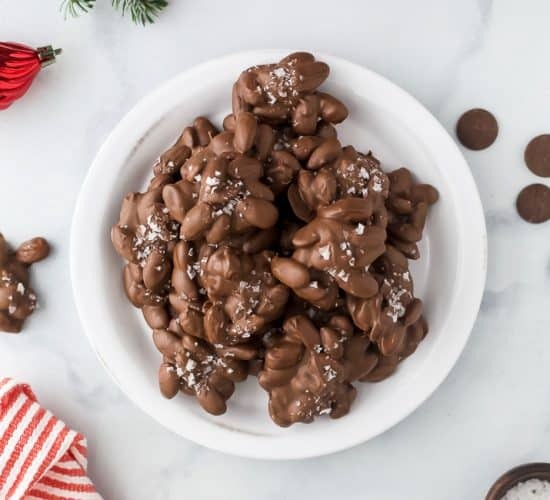 How to throw the best Christmas party? 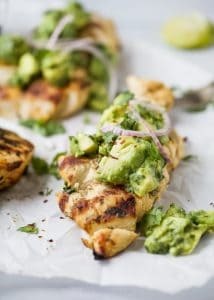 Everything from meal planning, what I do two days out, to what I do the day of the event and how I’m able to stay present during the party instead of being a “Martha” in the kitchen. Does that sound appealing to you? These are all things that light my fire. I’d love to share them with you so you can get to know me a little bit more but also help you out in the process! Tell me whatcha think below! I genuinely want to know! Ok, just some of my thoughts as of late. 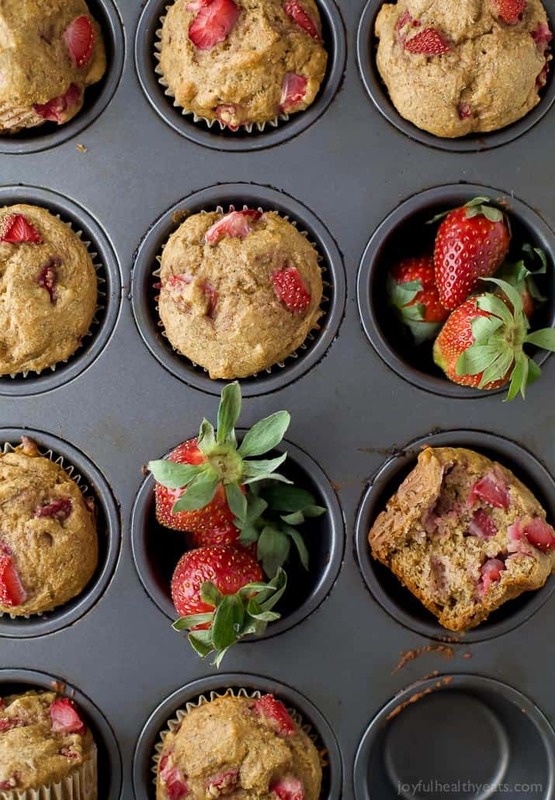 Moving on to todays recipe, these HEALTHY STRAWBERRY MUFFINS. We are in the peak of Strawberry Season if you haven’t noticed, did you know that strawberry are good for gut health? A 2 lb. package of strawberries at my grocery store is like $2.00 right now so I’m buying up all the strawberries I can. I’m getting all my strawberry recipes lined up and ready to make —> Vanilla Chia Strawberry Jam, Pineapple Strawberry Agua Fresca and my Strawberry Oatmeal Bars. 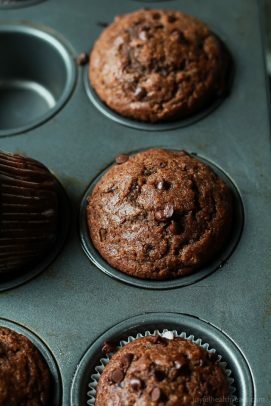 One more thing to add to the list are these muffins. Y’all. I’ve made strawberry muffins before, but these by far top the cake. 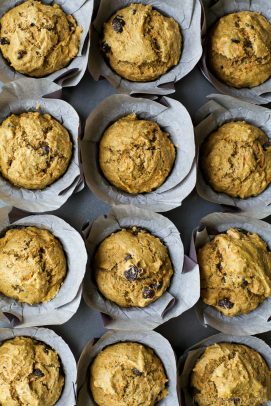 I still managed to keep these muffins slightly sweet and most definitely still moist. Cuz let’s be honest, nobody wants to bite into a dry muffin that makes you need a glass of water right away. 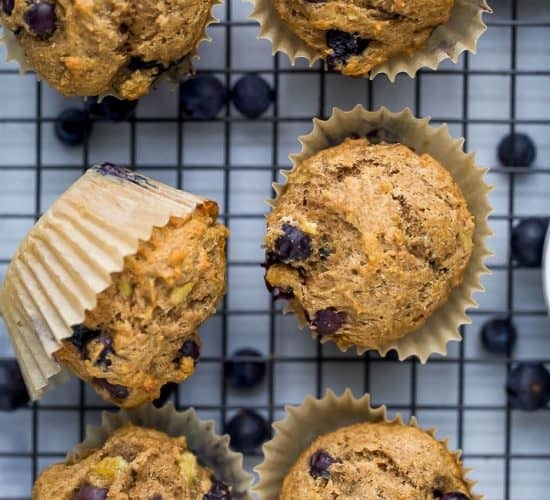 These muffins are pure muffin perfection. For a late night treat I spread a little Nutella on it and O M G! Heavenly! I can’t wait to hear what you think of these. 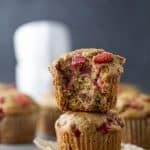 These Moist Healthy Strawberry Muffins are the perfect breakfast on the go! 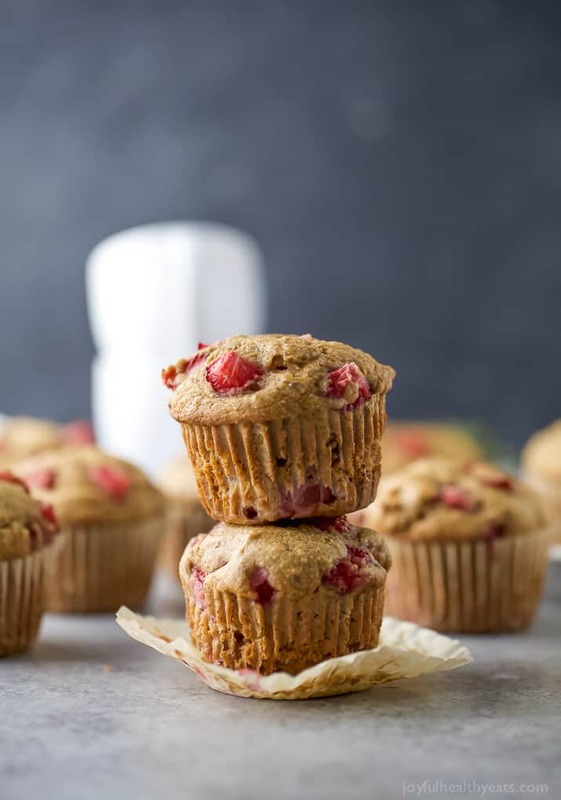 These muffins are dairy and refined sugar free and filled with fresh juicy strawberries and whole grains – only 128 calories a serving. Line a 12 count muffin pan with cupcake liners. Set aside. To large bowl add white whole wheat flour, baking powder, baking soda, salt and cinnamon. Set aside. To a small bowl add mashed banana, honey, unsweetened applesauce, egg and vanilla extract. 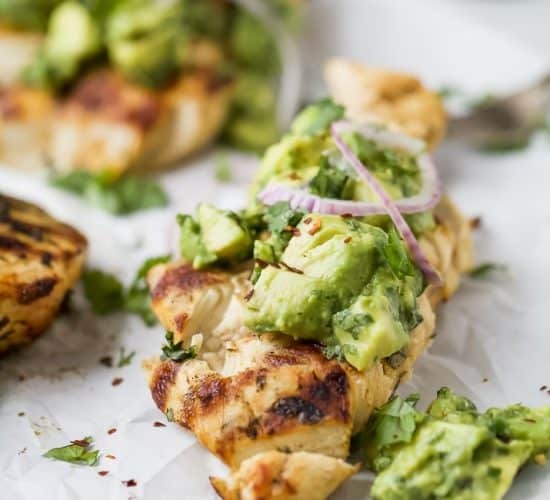 Using a spatula, combine all the wet ingredients. 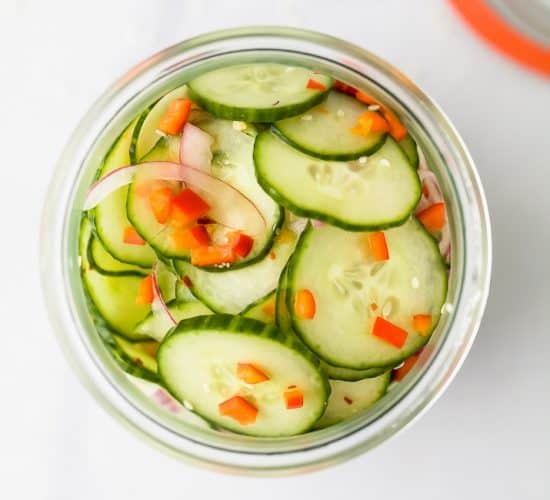 Pour wet ingredients into dry ingredients and mix with a spatula until everything is combined. Add in strawberries and gently mix. Fill each muffin tin 3/4 of the way full with the strawberry muffin batter. Remove from oven and let rest for 5 minutes. Serve. I would love to wake up to a dozen of these! I LOVE these muffins!! 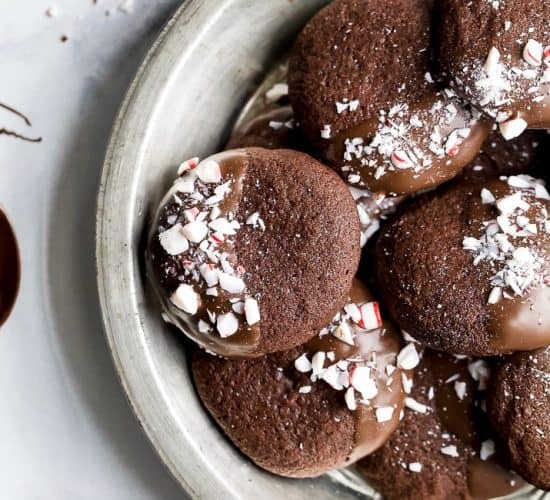 They look and sound incredibly delicious!! 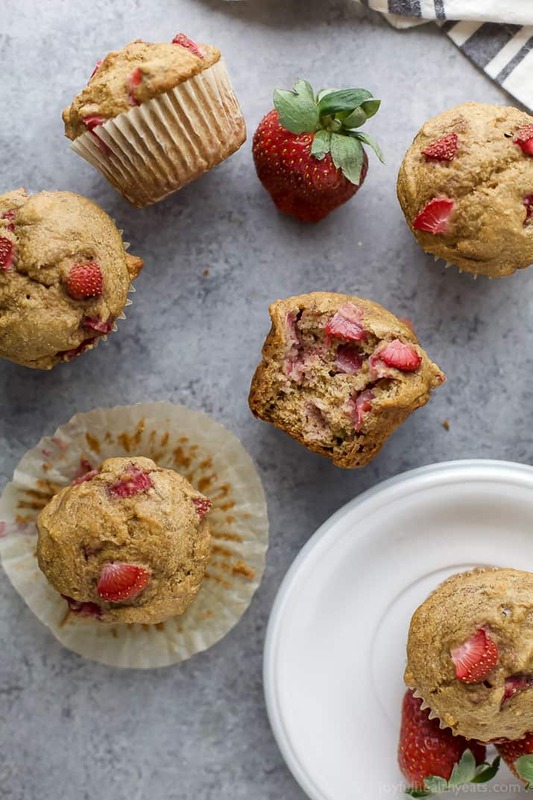 Love that you used banana in these gorgeous strawberry muffins — they look fabulous! And I’d love to hear about some of your other passions! thank you so much, the bananas give the right amount of sweetness! And thanks for your feedback Patricia, super helpful to know! 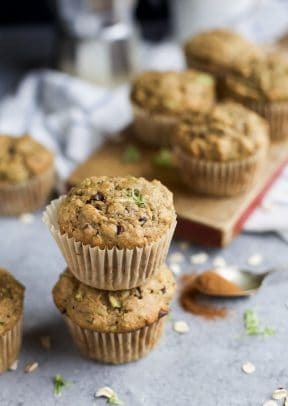 Oh these muffins look PERFECT for breakfast! These would be a great day starter! 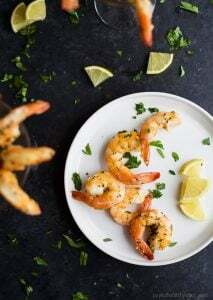 I would love to read more about your entertaining ideas. I love to entertain but do find it sort of stressful. I’m a bit of a control freak and don’t like to leave much of the work for after the guests have arrived. Tips about menus, make ahead options and how to know how much to make (I always over estimate) would be great. And just any fun ideas. Thanks! 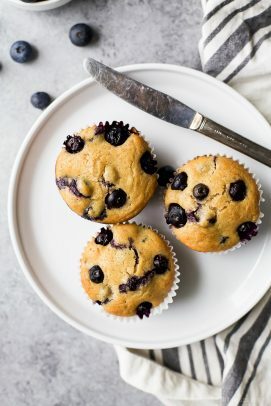 Muffins are my favorite! 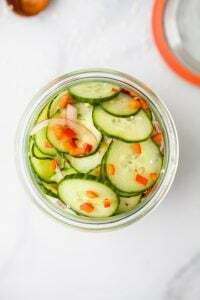 Love that these are healthy!